Ahlsell AB has signed an agreement to acquire Bahab Vent & Plåt AB (Bahab), a Swedish distributor within ventilation and sheet metal. The company has 16 employees and annual sales of approximately MSEK 140. 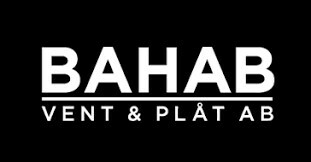 Since 2008, Bahab offers a quality assortment within ventilation and sheet metal for customers in the Stockholm region. Bahab has two facilities; one in Sätra and one in Lunda. For the customers, the acquisition leads to an even wider range of products and services. For example, Bahab's current offering will be complemented by products such as temporary electricity, tools, supplies and personal protective equipment. The acquisition is planned to be completed in April and the acquisition is expected to have a marginal positive impact on the Group's earnings. Ahlsell is the Nordic region’s leading distributor of installation products, tools and supplies for installers, construction companies, facility managers, industrial and power companies and the public sector. The unique customer offer covers more than one million individual products and solutions. The Group has a turnover of just over BSEK 31 and about 97% of revenue is generated in the three main markets of Sweden, Norway and Finland. With about 5,700 employees, more than 240 branches and three central warehouses, we constantly fulfil our customer promise: Ahlsell makes it easier to be professional!